Our Commitment to Our Clients - Achieving the best, strategic result for the long term, while fostering a communicative, compassionate and honest relationship. Our Commitment to Our Community - Promoting active involvement and public service on the part of our firm and ourselves. Our Commitment to Ourselves - Sustaining an enriching environment through leadership and teamwork; striving to improve while celebrating our accomplishments. Brooke Elia represents clients in legal matters such as constitutional rights, DUIs, public safety and traffic citations. She handles a variety of matters on behalf of the defendant and believes that every client deserves the undivided, unwavering attention and diligence of their attorney. Committed to the fight, she handles each case and client with care from beginning to end and brings her experience to bear as a counselor for clients, helping them achieve their best, strategic result for the long-term — not just for the moment. 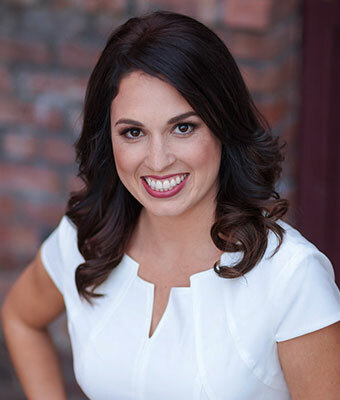 Brooke graduated from California State University, Fullerton with a Bachelor’s degree in Psychology before going on to earn a Juris Doctorate from the California Southern Law School. Beginning at a private law firm, Brooke learned the importance of customer service and attention to detail. To further her career interests and immerse herself the world of public service, Brooke worked for the Riverside County District Attorney's Office, the Riverside County Sherriff Department, and the Anaheim Police Department. It was there that Brooke learned the style and stature of her current opponent, the prosecution. As an active member of the American Bar Association, Federal Bar Association, California State Bar Association, Riverside County Bar Association, San Bernardino County Bar Association, and California Attorneys for Criminal Justice, Brooke has set herself amongst the best and brightest in California. Brooke has been recognized for her efforts by the National Trial Lawyer's Association as a Top 100 Attorney and Top 40 Under 40 attorney. Not only does Brooke serve the community, she is a part of it; dedicating her time and energy serving the needs of others by volunteering at Alternatives to Domestic Violence and acting as a Court Appointed Special Advocate for children in the foster system. Sharing her wealth of knowledge and expertise, Brooke also works under Riverside County Barristers to offer pro bono legal services to those in need. Brooke is hailed by her clients, peers and even opposing counsel for her professionalism, candor and overall ability to get the job done.